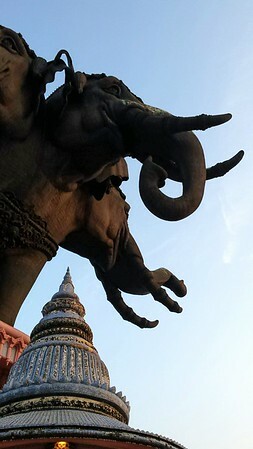 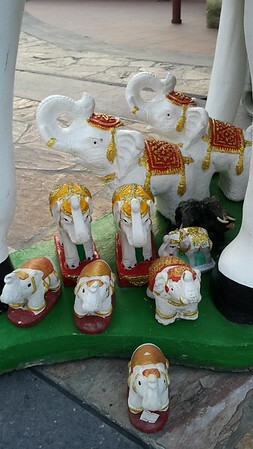 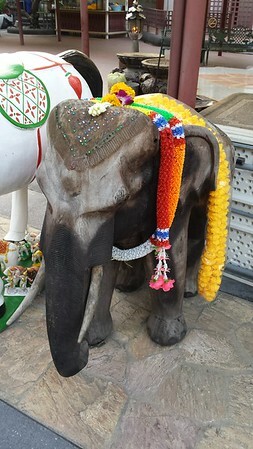 A gigantic three-headed elephant sits atop the temple. 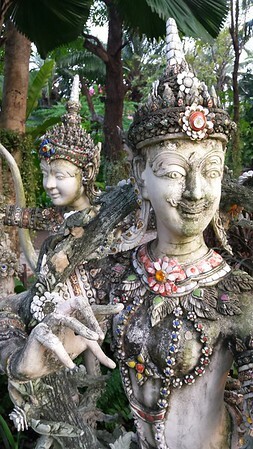 Inside are housed priceless cultural icons and antiquities from several Southeast Asian religions. 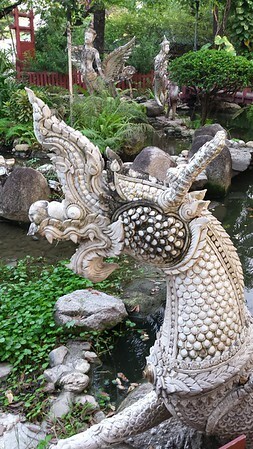 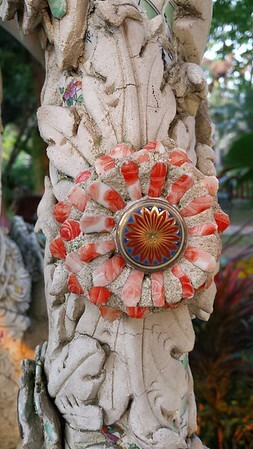 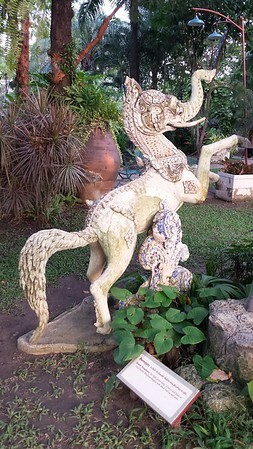 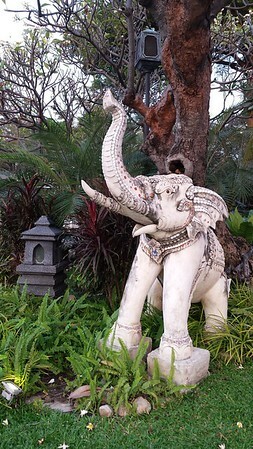 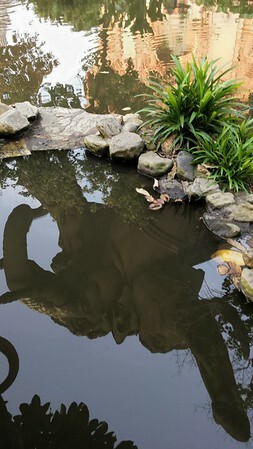 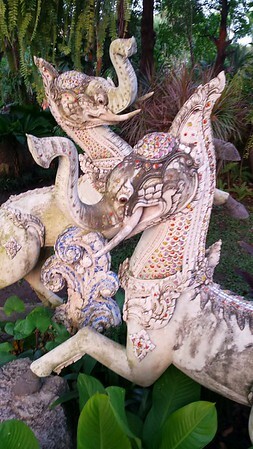 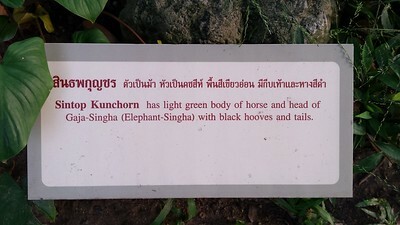 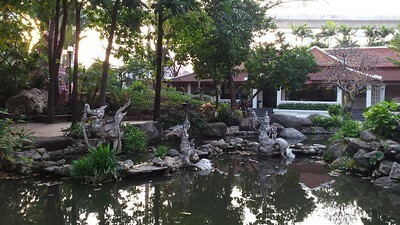 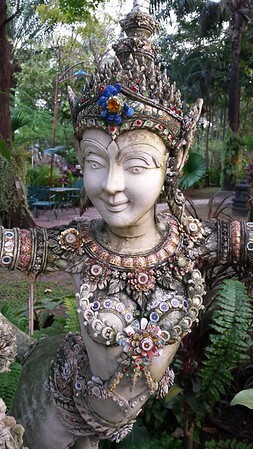 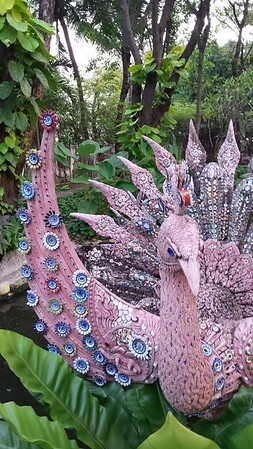 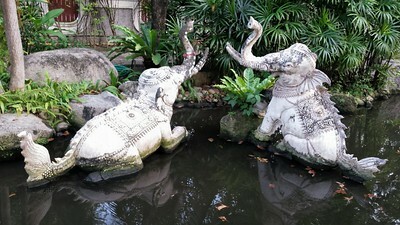 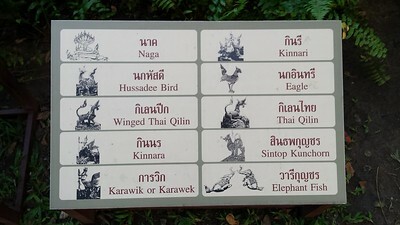 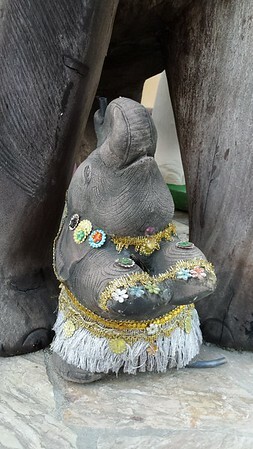 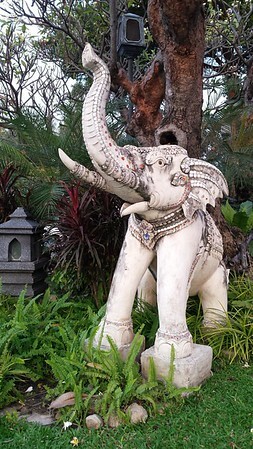 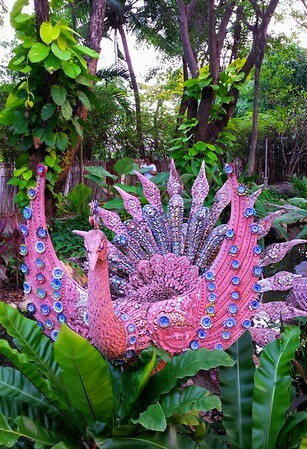 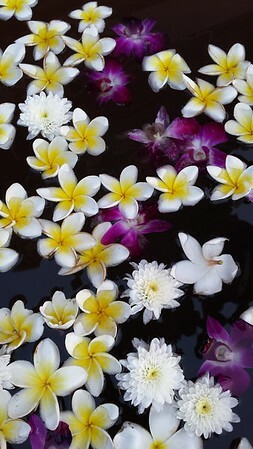 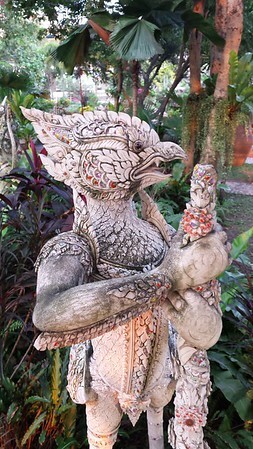 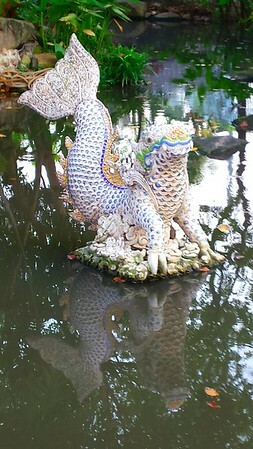 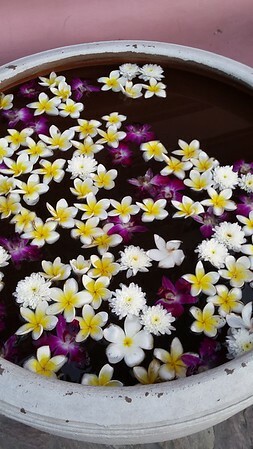 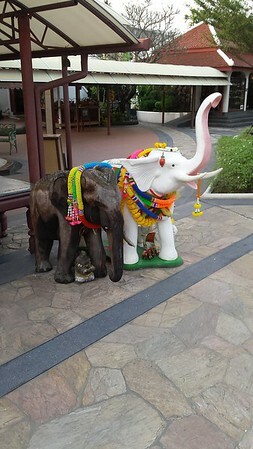 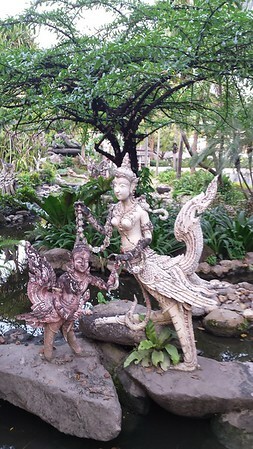 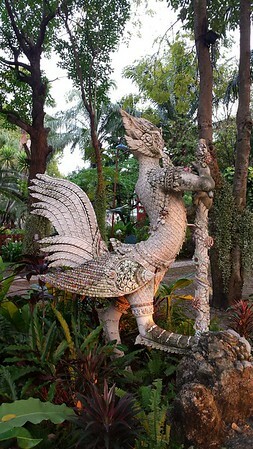 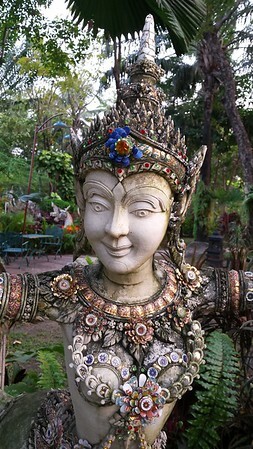 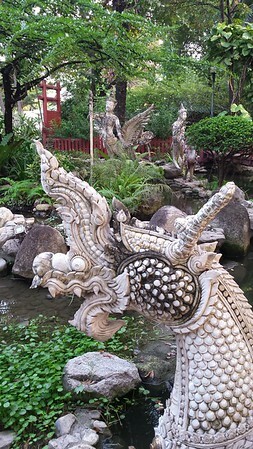 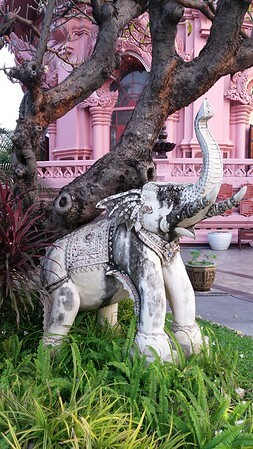 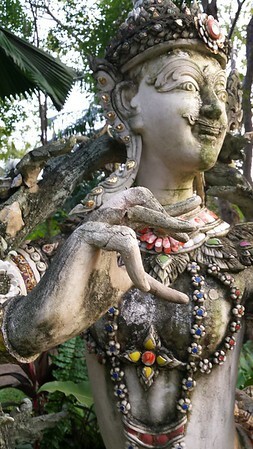 The place was founded by the same eccentric millionaire, Lek Viriyapant, who also built the truth sanctuary in Pattaya. 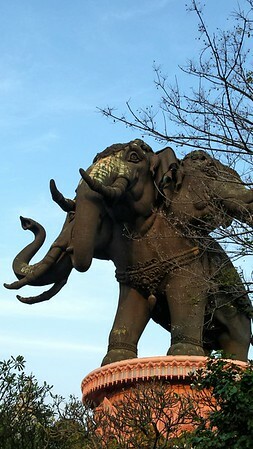 You can actually climb up inside the elephant and there's a lookout. 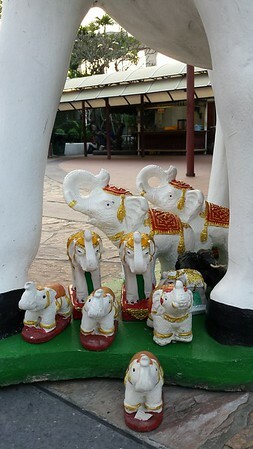 Unfortunately no pictures allowed inside the temple and museum. 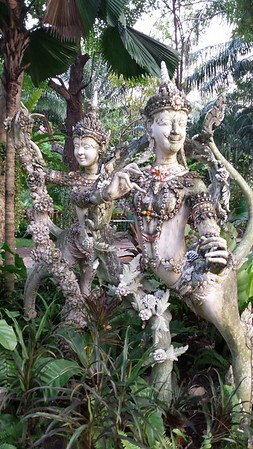 But there is plenty to see in the surrounding gardens. 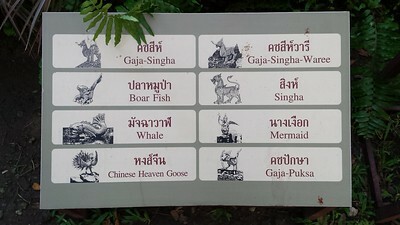 A worthwhile stop while in Bangkok. 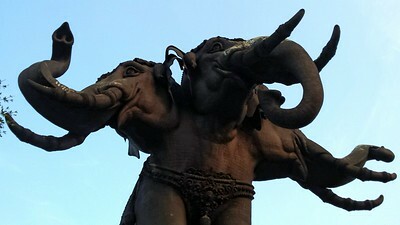 By the way it is half price after 5 p.m.